Firefighters were battling a roadside vegetation fire Friday morning off state Route 15 near Market Street in the Mount Hope neighborhood. Photo via OnScene.TV. Firefighters were battling a roadside vegetation fire Friday morning off state Route 15 near Market Street in the Mount Hope neighborhood, authorities said. 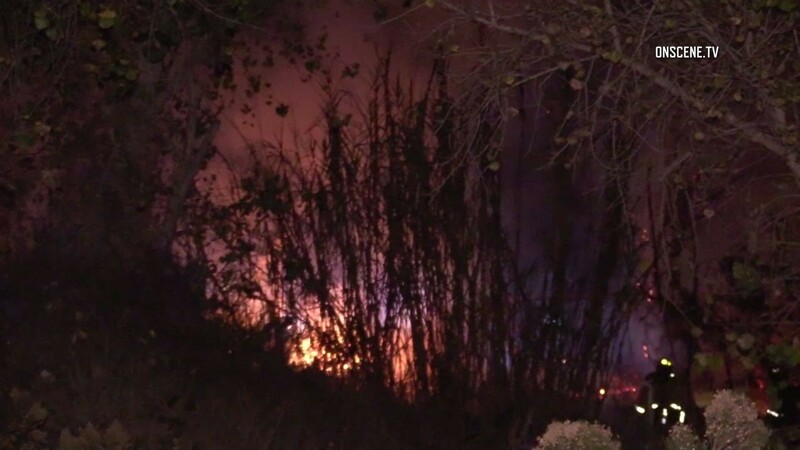 The blaze was first reported about 4:35 a.m. in a stand of trees on the east side of the highway south of state Route 94 and north of Market Street, according to a California Highway Patrol incident log. A witness told dispatchers the flames were 15 feet high. The San Diego Fire-Rescue Department dispatched four engines and a water tender to fight the blaze, the agency reported. The far right lane of SR-15 approaching the 94 was closed a little after 5 a.m. and remain closed about 6 a.m., the CHP said. The blaze possibly broke out in a homeless encampment.